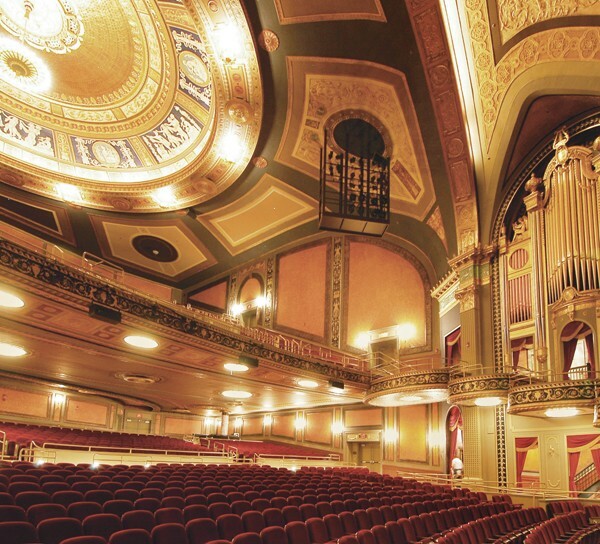 The Palace Theatre in Waterbury, Connecticut was designed by Thomas Lamb and constructed in 1922. 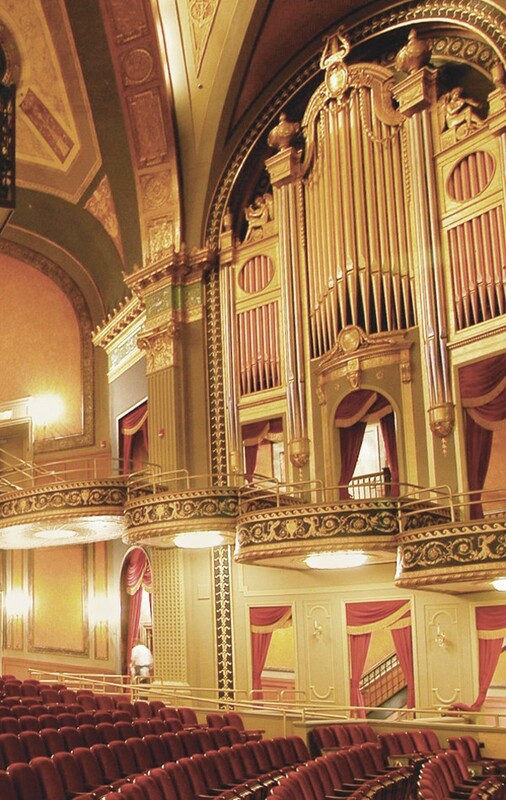 It originally seated 3,500 and is one of the largest historic theatres in New England. The Palace was abandoned for fifteen years prior to commencement of the $30 million restoration and renovation, and ornamental plaster throughout the facility required replication or restoration. The weather lobby was a particularly challenging area, as it had previously been gutted. 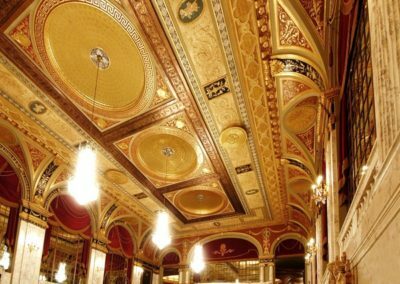 Conrad Schmitt Studios’ decorative restoration work included ornamental plaster and scagliola, decorative painting, millwork, metal work and terrazzo flooring. 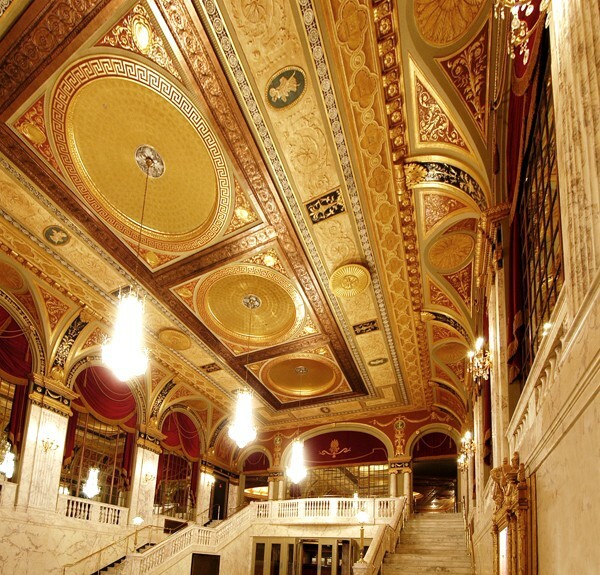 The weather lobby was re-created in full from photographs taken prior to past renovation efforts. 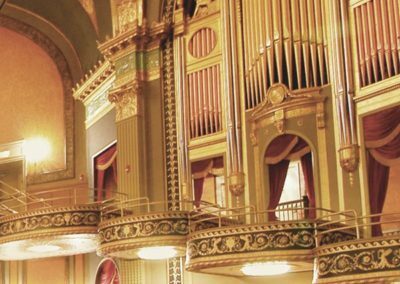 More than 2,800 gallons of paint products were used during the project, and nearly 60,000 square feet of copper, gold composition, and aluminum composition leaf were applied. The variety of faux finishing techniques included marbleizing and faux leather. Metallic effects were achieved through the use of composition gold, copper and aluminum Sepp leaf. Ornamental plaster was faux finished or gilded and glazed to appear aged. 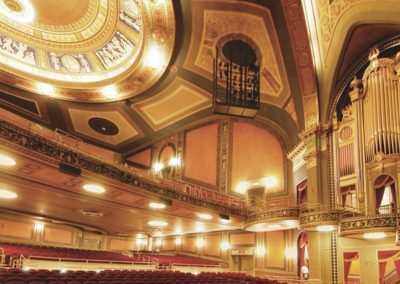 The restored Palace Theatre is once again a destination for the people of Waterbury and beyond.